The stones are immersed in water and heated in an electric heating device until they are within a certain temperature range. The heat warms and relaxes the muscles, which allows the therapist to apply deeper pressure, if desired. 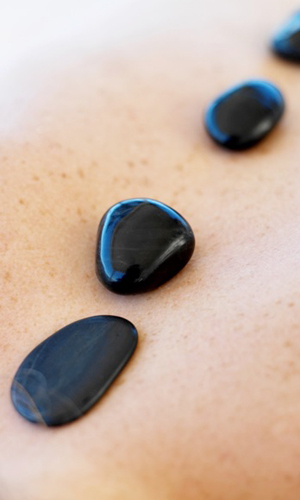 The warmth of the hot stones improves circulation and calms the nervous system.